I, like many Cleveland Indians fans, remember the first few times I came to recognize Chief Wahoo. The team’s mascot, iconic to many, stood out in many of my childhood memories. My first trip to Jacobs Field, numerous highlights of Albert Belle, Kenny Lofton and Jim Thome. Heck, I even remember watching the old ‘Wahoo! What a Finish’ VHS repeatedly, constantly replaying a season’s worth of walk-off wins. 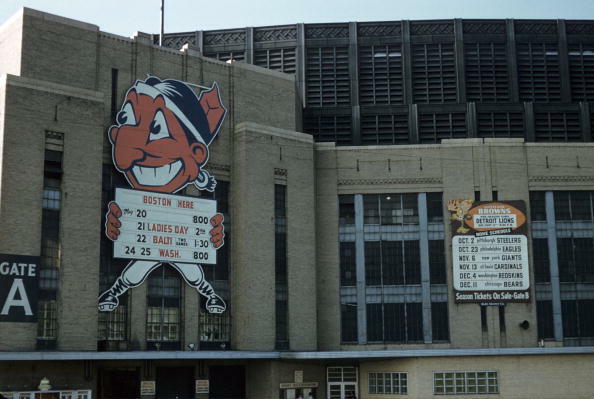 The Indians mascot played a part in these memories and more. However, the issues people raise with it now weren’t any different back then. To say otherwise is to lend more credence to personal memories than to fact. Despite many people begging to differ, the reason for today’s announcement regarding the Indians’ removal of Chief Wahoo from uniforms and the stadium come 2019 isn’t surprising whatsoever. Simply put, the logo is racist. The team was never going to be able to dispute this. As a result, it was time to move on from it. There’s a great deal of fans who know the Chief mainly as a symbol of boyhood summers at the ballpark. Who’ve only ever seen it as a sign baseball season was gearing back up, of an impending pennant run. It’s impossible to ignore why so many find Cleveland’s mascot offensive. Attempting to do so is based solely out of ignorance. Part of the reason the Chief lasted as long as it did was the fact it’s been in the public eye since the early 1900’s. If someone attempted to introduce Chief Wahoo as a new logo now, it’d be stunning if it even saw the light of day. That said, people are still irate about today’s news. I’ve listened to local radio hosts field numerous calls from people who are livid about the Indians buckling under pressure to change the logo. What kind of argument can you not use that as a defense? Those who are angry about today’s news don’t see Chief Wahoo as racist in any way. They see it as a childhood memory. They remember the old marquee at the top of Municipal Stadium. They remember decking themselves out with the logo during the mid-90’s hey-days. I get that. Like I said, I’m the same way. At the same time, when being presented with a (very common) belief that Chief Wahoo is racist and offensive, the team had to have an excuse besides “to us, it means baseball.” Such an attempt to defend the mascot would be flawed beyond belief. It wouldn’t be explaining how Chief Wahoo isn’t a racist caricature, it would merely be sharing what it looks like in their eyes. This was never going to win any battles for the Indians front office. It’s been the only defense of the logo for decades, yet the calls for its removal never subsided. Unless Cleveland could come up with a real argument for Chief Wahoo, one not rooted in “what it means to us,” the removal of the logo remained inevitable. This decision is hardly as shocking as how long it took for it to actually occur. Unfortunately, this reasoning will likely fall on deaf ears. 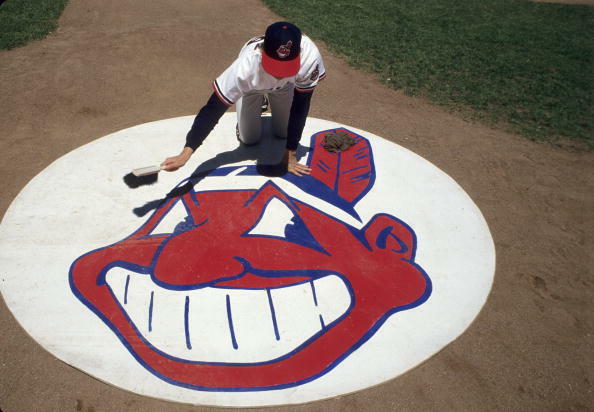 Many fans will continue venting about removing the Chief, some making absurd claims such as “I’m 1/25 Cherokee, and I’m not offended by it.” Others will just keep throwing out the old “Chief Wahoo = Baseball” shtick, as if repeating it over and over again will ever convince anyone the logo shouldn’t be seen as offensive. Either way, fans will remain angry about the decision throughout this season, leading up to next year when the removal is made official. I understand the anger. What I don’t get, what I may never get, is why people are so surprised about this decision. Stop pretending you didn’t see this day coming. Stop feigning shock. Stop acting as though the decision made today by the Indians caught you off guard. 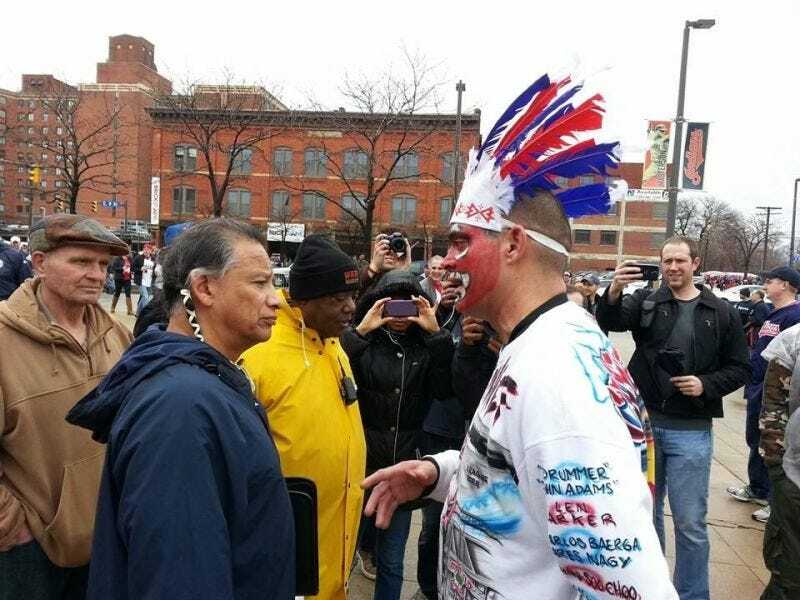 Chief Wahoo offends a great deal of people. It always has. Cleveland was never going to win the argument against that. All it could do was delay the inevitable.